Jaxon is against that bright orb glowing up in the sky. He is very much like a vampire in that regard. 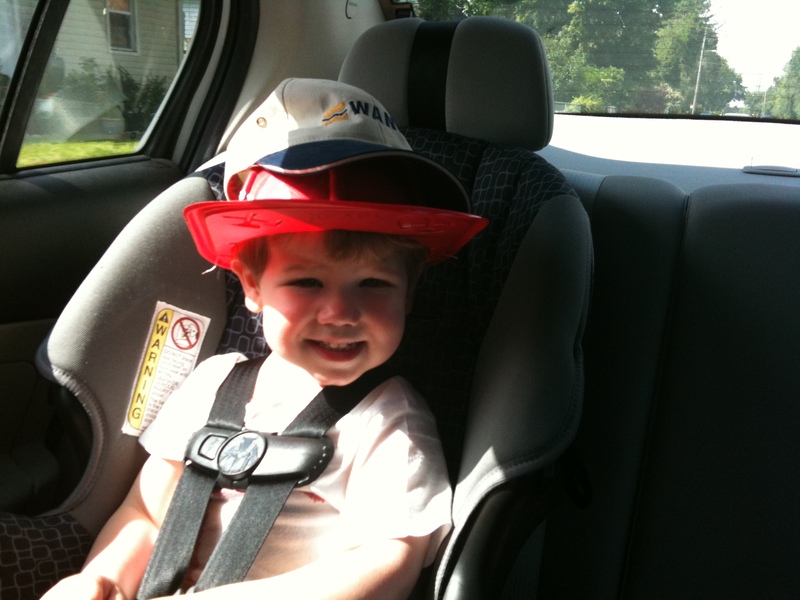 His solution: a backwards plastic fireman’s hat with another hat on top.